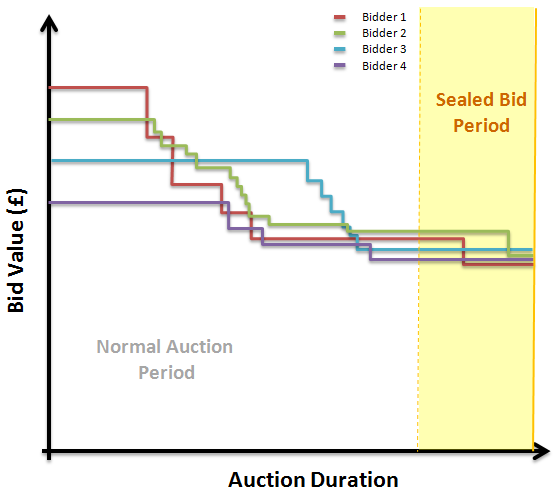 Recently we encountered a twist on standard eAuction formats which worked byconcealing supplier rankings at the end of an auction whilst allowing new bids to be submitted. You can think of it as a post-auction sealed bid phase but lasting minutes, not days or weeks. We say “post-auction” as it may technically still be part of the auction process, though by no means can you call a sealed bid process an ‘auction’. For example the Merriam-Webster online dictionary defines an auction as ‘open public bidding’, which a sealed bid quite clearly isn’t. The idea is that whilst the bidders would battle it out amongst themselves during the eAuction, they could further reduce their bids during this post-auction ‘cool-off’ without alerting their competitors. In other words, it would leave all auction participants in the dark as to where they were finally positioned, much like a typical RFP. This can give the buyer an advantage by avoiding the situation where the bidder knows they finished in first place but is later upset at not being awarded the contract. It can happen for many reasons, albeit almost exclusively in the private sector, and typically it is due to the first-placed supplier not quite offering a compelling enough reason to be chosen. A secondary advantage is that it can also prevent ‘bid shadowing’ which is where one or more bidders closely follow the lead bidder to ensure they are in with a chance of securing business but without having to give away as much margin. However, it doesn’t necessarily solve these issues. The winning bidder during the auction may still be upset if they were not to be awarded the contract. You couldn’t help but empathise with the bidder that, if anything, they now have even less information to go on than if it were just an eAuction, adding to their frustration. Furthermore, it possibly undermines the purpose of an auction. An auction is driven by open competition and interaction amongst bidders. If the process was to be settled at the end via a sealed bid, you might as well have simply opted for a sealed bid process only. The auction was a mere distraction. In our former lives as eAuction consultants, best practice was not to allow post-auction bids, as it can compromise the auction itself. To validate this point, we deliberated what we would do if we were invited to this two-stage negotiation process of eAuction followed by sealed bid. Firstly, we would identify our BAFO: best and final offer. We would be forced to make an initial bid, be it during the RFQ or as our auction start price. We would go in high; not so high that we get eliminated but high enough that we are conceding very little. Next, we would sit and observe the auction, not making a single move. We might have an understanding of how many other players are involved, which is always nice to know, as well as where our uncompetitive offer finished up. Once we enter into the sealed bid phase, we make our move knowing that our competitors will have no idea. We’d hop in at our BAFO and hope that it would suffice. How would our strategy differ to a single-stage sealed bid process? We don’t believe it would. Hence the irrelevance of the eAuction in this case. The trouble is the concept becomes a self-fulfilling prophecy. Once bidders are told how this two-stage negotiation operates, they will logically hold back during the auction. Why give the game away early? And so to the client using this feature, they will see a not-very-successful eAuction followed by what appears to be a hugely exciting sealed bid process that has appeared to save the day! Well, yes, of course it has: the bidders have already realised the auction serves no purpose and have bypassed it. That is the consequence of allowing post-auction bids. You decide to bid on an item so you enter the maximum price you’ll be willing to pay – your BAFO. As the final minutes tick by, a new bid drops in that knocks you off the running. You quickly decide to improve your offer – now call it your absolute BAFO! – if it means you might have one last chance of being successful. And so what you’ve done is exceeded the bid that you initially thought was as far as you’d go. You’ve done this because competition has pushed you and you’ve decided that you still have the smallest of margin left to offer if it means you still have a chance. The alternative is that you know you’ve lost. The second parallel with eBay is that you can be ‘sniped’, whereby someone pips you to it right at the end, even though you would have relished the chance to react. This is precisely what the sealed bid phase detrimentally encourages. 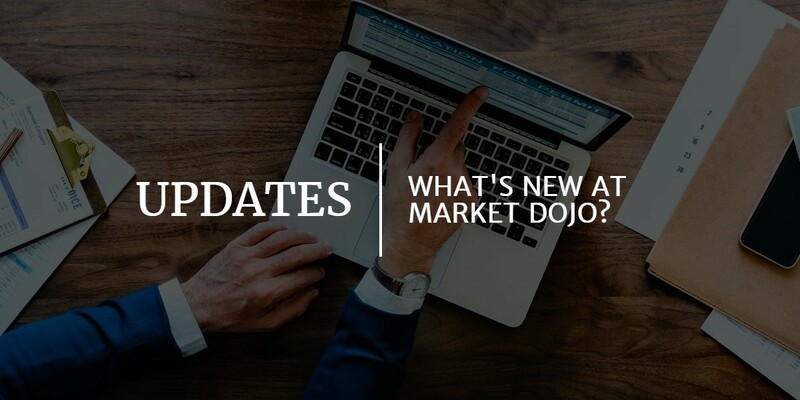 Hence the conclusion is that communicating to bidders that there will be a post-auction sealed bid period fundamentally impairs the very thing you’re looking to accomplish – using market forces to negotiate the absolute market price.